The instinctual habits of preserving and economizing are not something hardwired into the DNA of an individual. Instead, the upbringing of your kids will determine whether they enjoy saving money or rather spend extravagantly. It should be noted that the word “saving” is not synonymous to “ungenerous” or “stingy”. Rather, saving money reflects the habit to conserve and spend wisely. Even though teaching your kids about saving money is essential, the pressing issue is at what age the process should begin. 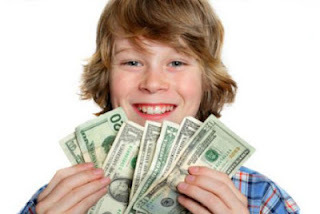 Various articles proclaim to teach your kids about money from as early as the age of 2. Childhood is supposed to be a carefree and fun-filled time, and teaching children about money might inflict negative implications on their character. Therefore, the appropriate time to start is in the pre-teenage and teen years of your kid. During the teenage years, piggy banks and meager gifts on savings lose their charm. Therefore, complex methods should be adopted. At an age of 10, provide your kids with $5-10 a week. This is an additional sum over their normal activities - get-togethers with friends or any actions they would normally do. This strategy is aimed at inculcating the trait to “Own Money”. By owning money, they will develop the desire to conserve it. It also helps you monitor the behavior of your child if provided with money. Link this money with the completion of chores. By punishing them over incomplete chores, you will teach them the importance of money-management. But do not continue this punishment for a longer period of time as it might hinder the purpose of teaching and instill rigidity, which is quite common in the teenage years. Now simultaneously open a saving account at your nearest bank. This will encourage your child to deposit money at the account, which earns interest or profit. Now add certain requirements to the allowance you provided in the first instance, for e.g. saving half of the weekly or monthly allowance for specific occasions, such as Christmas. Instead of paying directly for their activities, increase their allowance and encourage them to be responsible for their own spending. But before adding to the responsibility, sit down with your child and discuss a list of long-term priorities. This might include goals such as a laptop for High School, vacation trip after graduation, or even payments for a car. This step will ensure that your child learns a long-term perspective and start learning and building a complex financial budget. Your child would have started earning by now. Even if that’s not the case, let them enjoy complete autonomy over their monthly purchases, but within the limits of a budget. Monthly shopping, including clothing and sneakers should be left to their discretion, but within a limit that is feasible for you. Also encourage your child to search for discount deals online or conduct comparison shopping. If you have gone through, or are currently going through, a divorce then you know that money saving tips are very important. What better time to instill good money saving habits in your children.